My children’s message for church got hijacked by a bowling disaster. It was my intention to talk about marbles, salt, and confessing our sins to each other. I know, that sounds strange, but there was a plan. I had my jar with marbles buried in salt. I even practiced pounding the jar on the floor to make the marbles rise to the top. I was ready to explain that when salt does what salt is designed to do it slips around the marbles and into air pockets and this causes the marbles to rise to the top. I was ready to explain how we are good at breaking things, like friendships and promises, but we are not so good at fixing things. But, when we do what God designed us to do, when we confess our sins and pray, God brings healing. The message was short and sweet and I was ready for anything except the delightfully wandering minds of three-year-olds. I took the bait and the first story about bowling commenced, followed quickly by five or six more, all spoken simultaneously. The effect was suggestive of a preschool class speaking in tongues. There was lots of noise and hand waving. Then someone left to use the restroom. It was a five minute children’s message and I completely lost control. Although, when you are sitting in front of church with a group of a couple dozen pre-schoolers, “control” is not usually the word that comes to mind. I am pretty sure I could hear the pastors stifling a snicker from behind the lectern. 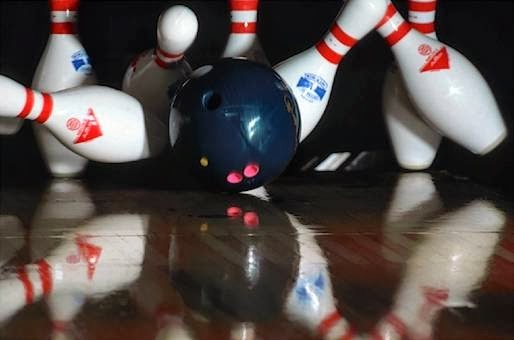 I scrambled to find a way to connect bowling with repentance, prayer, and forgiveness. I scrambled to no avail. And yet, somehow, God brought a message for His little ones out of our bowling disaster. And, again, I had to remind myself that even when I am doing the talking, the children are probably still thinking about bowling and the Spirit still does His work in spite of us. God just asks us to do what He designed us to do: repent, pray, praise, love, trust, obey . . . I thought I had this dissertation thing planned. I quit my assistantship at the University so I would have more time to write. Then I lost a teaching contract and had to recruit more work. I got a chance to teach for the University and set about setting up a schedule for writing. Then I broke my arm. I got the cast off, did my exercises, and started writing, again. Now, my doctor thinks I may need more surgery to release pressure on the nerve. I planned, by this point, to be done with my proposal and to be busy collecting data, but my plans have been hijacked by life, by my clumsiness, by my trust in my own ability to make plans happen. So, here I am with an arm that types for a limited amount of time each day, with dictation software that doesn’t yet understand psychology vocabulary (that makes two of us) and a huge project waiting to be finished. I have my own sweet version of a children’s message bowling disaster. So what do I do? I believe it is simple; I do what God designed me to do. I repent, pray, praise, love, trust, obey . . .
God’s love and His will for me and my project will slip into the pockets of my disaster and lift me up to Him. He knows the plan. He knows how it will be accomplished, and even why it should be accomplished. Lord, help me do what you designed me to do. I LOVE that quote - now I have a whole new image to keep in mind.